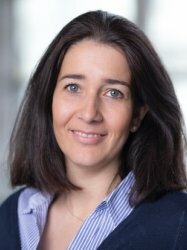 Cláudia Custódio is an Associate Professor of Finance at Imperial College since 2016. She was awarded her PhD from the London School of Economics in 2010. After graduating Cláudia spent time in the US working within the Department of Finance at the W. P. Carey School of Business, Arizona State University before moving back to her native Lisbon to join NOVA school of Business and Economics in 2014. She is a research associate of the Centre for Economic Policy Research (CEPR), the European Corporate Governance Institute (ECGI), and the Financial Markets Group (FMG). Cláudia's focus is Corporate Finance and her work has been published several times in academic journals such as the Journal of Finance, the Journal of Financial Economics and the Review of Financial Studies. She is also the author of a Corporate Finance textbook in Portuguese "Finanças da Empresa".